I know what simplicity means to me, but I wondered what I would find if I googled it. I like this explanation from Wikipedia. 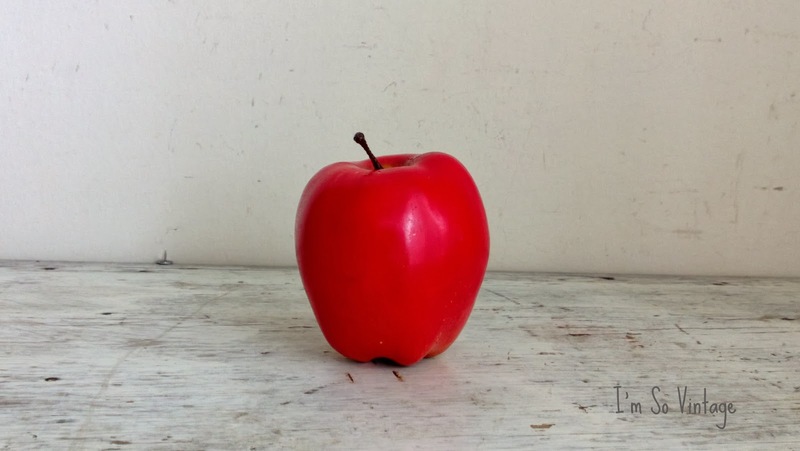 Simplicity is the state or quality of being simple. It usually relates to the burden which a thing puts on someone trying to explain or understand it. I also believe it relates to the amount of things and to the clutter both physical and non physical in our lives. I like my "things" and as I gather them around me I feel comfortable. 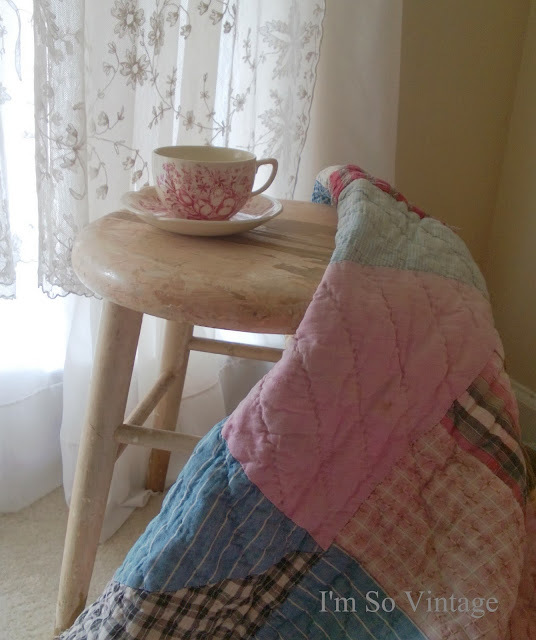 Something as simple as a quilt in my reading corner can make me feel safe and comforted. But, I also know that for me there is a line between simplicity and clutter. When there is too much I begin to lose my sense of peace. This is what the top of my desk has looked like for the last couple of weeks. It is loaded down with business and personal "stuff". I know there are lots of people who don't mind, may even like, clutter. I am not one of them. When my living space is cluttered it is hard for me to relax. For someone who deals in vintage and antiques and has limited space, dealing with all of the extras is something I have to learn to incorporate into my life. 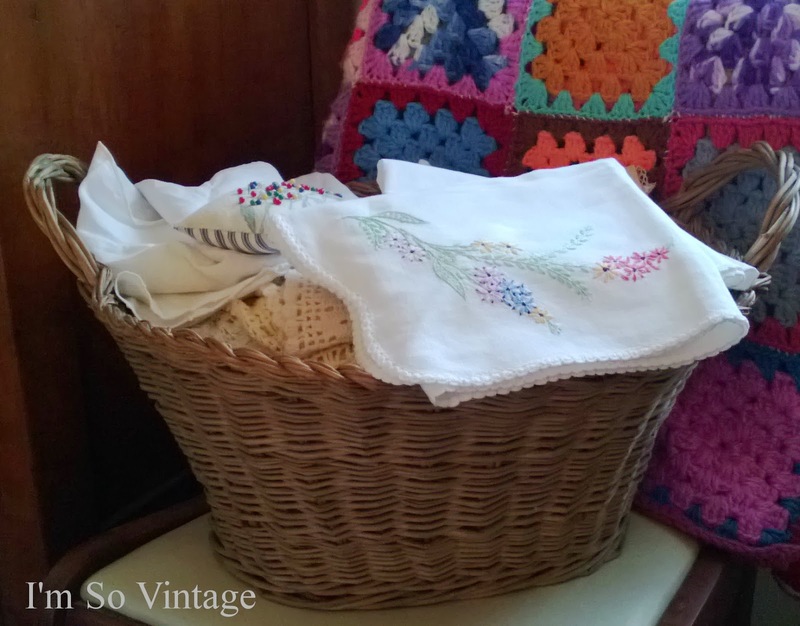 A basket full of pretty linens, that are waiting to be sold, is something I can live with. That messy desktop isn't. So I will begin to sort today, knowing that when it is once again clean, the simplicity will bring me serenity. The pursuit of the simple life goes on. My desk top looks like that too. Simple is best so I will tidy up mine too. It's a balancing act for me, too. I like being surrounded by lots of pretty things and treasures but I can't stand clutter. So I'm constantly working to make my pretty things looks good and not be too much. Sometimes it even keeps me from crafting or sewing. I hate the mess I end up with! Sweet hugs! Your desk looks like organized chaos to me !! Have a great week, Laura. Oh LOOK at your new header! LOVE IT! I have been on a purging kick since October! I love living without clutter. I am going to have so much more time to create! I'm like you, I like it clean and tidy, I find it's easier to be creative when I do that. I'm always trying to simplify and de clutter. Organizing and simplifying our lives allows us to think clearly :) happy Monday! You're just in time, Laura. Today is National Clean Off Your Desk Day. Go, girl! I'm like you ... a cluttered home/office/room leaves me feeling anxious and not at all peaceful. I must have order. And I'm in the middle of going beneath the surfaces of my home to the things that never meet the eye. It's a work in progress but I'm feeling great about it. My desk at work looks like that! Form follows function, dear Laura. Love the new header! I'm like you...I like my favorite things around me, but in a orderly way. Good for getting your desk up to par. I think you will be more energized to work! I know what you mean. Whenever I do a project (few and far between) on a desk, I have to clean it up once I'm done. I just can't relax knowing I have to go back to work on it the next day. I am in love with that basket full of linens. I am exactly like you. 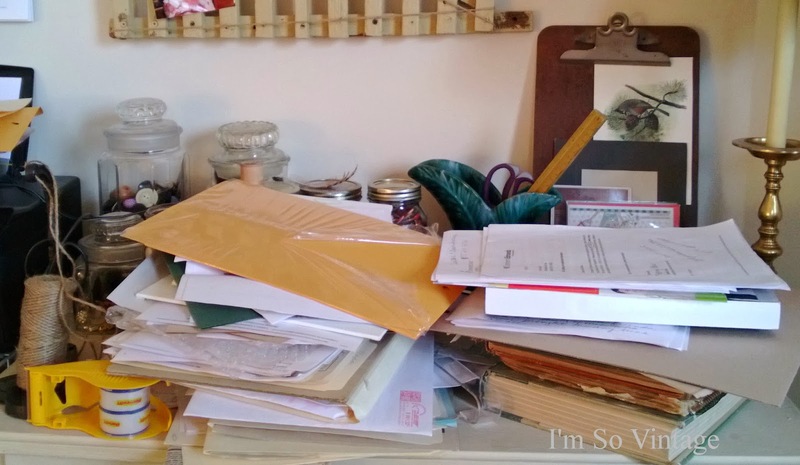 Although I love all of my treasured things around me, when I don't have some cleared off desk space I start to get frustrated. And I must tell you that I am loving your basket filled with linens! I just found your blog today and I LOVE it..... we are so much alike.... =) Blessings to you and thank you for sharing!